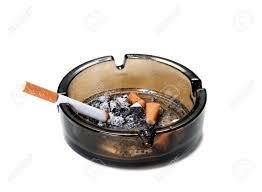 By far, the smell with the greatest impact on potential buyers' impression of your house is cigarette smoke. Unfortunately, smokers may not realize how strong the smell of cigarette smoke is, even if every attempt is made to smoke outside the house once it hits the market. The chemicals in cigarette smoke don’t just work their way into every fiber of the upholstery, curtains, rugs, and carpets. The odors also permeate the walls, flooring and most every surface of the home. And, it’s not only the smoky smell that needs to be dealt with; if there's been smoking inside the house long enough, there may be a sticky, yellowish residue left behind on the ceilings, walls and floors throughout the house. If you are a smoker (or live with one) and plan to put your house on the market, it’s in your best interest to have the house professionally cleaned before you start showing it, as most cleansers available to the general public will not be strong enough to remove the odors and residue. However, if you want to get a jump on it yourself, you might consider scrubbing walls and surfaces down with a solution of TSP (tri-sodium phosphate), which can be purchased at most big box home improvement stores. (Be sure to follow the instructions and warnings on the product label!) After a thorough professional cleaning, you may also want to have the walls and ceilings repainted, first applying Kilz or a similar sealant to block odors and stains beneath. It may be possible to eliminate the smoky odor from your curtains, rugs, carpet, and upholstery, but you may be better off leaving that to a professional cleaning service. Check your local coupon flyers for spring cleaning deals, which generally start popping up in March. Deal-finding sites like Groupon are also a good resource for seeking out pro cleaning services. The fact is, there's no avoiding some major deep cleaning to manage residual smoking odors. However, it's a good idea to have a few backup measures ready for your showing as well, and you can get a head start on deodorizing by putting these into place well before spring. For instance, an air purifier unit is useful in any home (even non-smoking environments), and can help keep the inside of your house smelling clean and fresh. You can also place odor-absorbing specialty items around the house in discreet areas such as the upper shelves of closets, under sinks, and in the corners of the basement and garage. You can purchase mesh bags containing volcanic rock that absorb and neutralize odors (these are great for litter box areas, as well). Janitorial suppliers also sell powerful odor-absorbing sponges in plastic containers, which you can place in areas that need extra help. And, whenever the weather permits, take every opportunity to open the windows to air out the house. One more thing. While you may be a fan of room sprays, candles, incense, diffusers, etc., be aware that artificial scents can cause headaches for many people, and some individuals may even have an allergic reaction to these items. In addition, these products can make it very obvious that there's an attempt to mask one odor with another one, so we advise against using them whenever possible. Getting a jump on odor elimination may seem like a lot of work initially, but you'll be glad you addressed it well in advance of showing your home. Once that's done, you can get started on other staging and prep projects - keep checking for more useful tips!